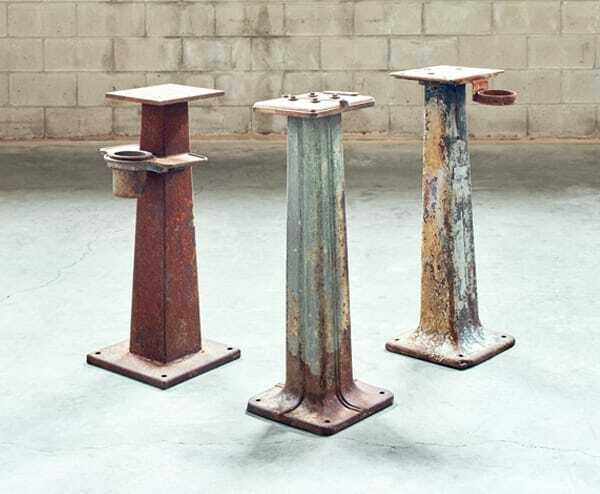 Cast iron industrial grinder machine pedestal bases. Each one has a slightly different flared shape. Pair them with a live edge slab to create a custom table.